More than thirty years ago, Husband and I, along with three kids, two dogs and a few tropical fish moved into the house in Davis, Oklahoma. No one told me that ghosts lived in the house and they toyed with the phone lines on a daily basis. Of course I had to call the electric company, the phone company and every other company in the whole great state of Oklahoma but it wasn't any big deal. The last time we'd moved I'd talked to a sweet little lady named Anna and she'd done everything in five minutes. Apparently, the ghost had caused great havoc in the land of technology because after he allowed me get the phone service hooked he pitched Murphy's Law right into my lap. “Thank you for calling this electric company,” an automated voice said. It didn’t have any sign of a Texas drawl or even of an Okie brogue. Matter of fact, it sounded like it might have come from Mars and we'd barely made it to the moon. Mars was still a twinkle in the scientists' eyes, or maybe in the phone ghost's eyes. Hang up? I wasn’t about to hang up. I wiped out the ‘fridge and loaded it up with groceries, scrubbed both bathrooms and hung up a roll of toilet paper. All the while some kind of music from the moon where I'm sure ghosts are spawned was piped into my ear. It got dark outside and I started to yawn. "Is the same Anna who took care of this kind of business twenty two years ago?” I asked. “This is her granddaughter. Do you have your husband's social security number?” She asked. "I've got everything but that but I know it so..." I rattled it off. "And I like milk chocolate and I use whatever toilet paper is on sale." She giggled. "Grandma always said she was coming back to haunt the telephone lines. I don't need all that, just your husband's number." I didn’t give he/she/it time to go any further. I pressed all the buttons clockwise, then counter clockwise and started to hum the theme song from Twilight Zone. “I need Internet, a newspaper delivered in the mornings, pizza coupons, a card for the local grocery store, the name of a good cleaners, directions to the nearest Wal-Mart, a recipe for shoo-fly pie and to be put on the list for weekly discount coupons for area stores,” I said. “No, ma’am,” I said. "And tell your grandmother I'd rather that she took up abode in my kitchen than over the phone lines." The next day the coffee pot was in the refrigerator. Leave a comment to win a print copy of "Mistletoe Cowboy" (US/Canada only)! 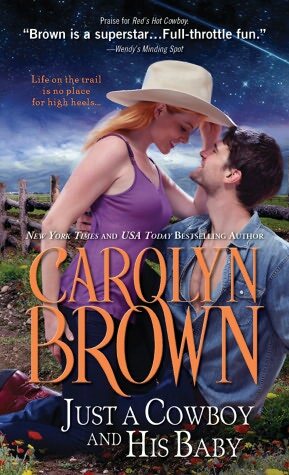 New York Times and USA Today bestselling romance author and RIThttp://lasrguest.blogspot.com/2012/09/halloween-blogfest-carolyn-brown.htmlA® Finalist, Carolyn Brown, has published more than sixty books. Mistletoe Cowboy was released Oct. 2. Just A Cowboy and His Baby is scheduled for publication on Dec. 4. She and her husband have three grown children, enough grandchildren to keep them young and two tom cats that rule the back yard. Wonderful post, I loved it. Happy Halloween everyone! Hope that the ghosts in your house are friendly! Oh my I loved it! Sounds like my kind of day when i had to switch my lifetime subscription if Sirius radio from one truck to the new one! Biggest nightmare ever! Ive never lived in a haunted houses but I often imagine moving into one. It could be why that perfect house has no takers...dun dun dun! Even if it's a friendly ghost I'd be scared. What a great story I enjoyed reading it. Great post! It's just something you don't forget happening ever. Thanks for the fun post. That was a great story. I really enjoyed reading it. Did the grandmother keep moving things after that? Thanks for the giveaway. I loved the story, it sounds like you lived in a great house with some exciting visitors. Thank you to everyone who've stopped by to visit! @Joanne, oh, yes, ma'am, she gets more active every year. @Barbara, never a dull moment around here! 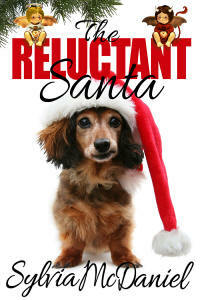 Mr. Random picked your name from the famous red boot to win a copy of Mistletoe Cowboy. If you will email me your snail mail address, I'll pass it on to the publicist and she'll get your book in the mail! Thanks to everyone for commenting!